Light Up UCF is a seasonal event put on outside the UCF arena. If you have not taken an opportunity to check it out you definitely should. If you know nothing about it here is a video showing some of the attractions. My advice would be to pick one of these nights to go watch the undefeated UCF Knights basketball team play and end the night with Light Up UCF. Your ticket from the basketball game will get you a reduced rate into the attractions outside. 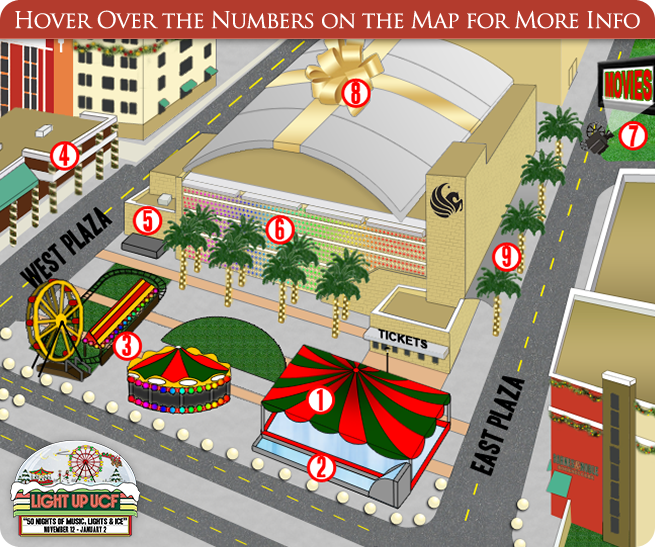 For more information you can visit the light up UCF website by clicking here or visit the Facebook Page.